I was recently trying to switch my iPhone 5s to an iPhone X when I encountered a message in iTunes saying "iTunes could not restore the iPhone because password was incorrect". But I don't have an encrypted backup and therefore shouldn't need a password.Btw,the iPhone is running the latest ios 12. Is anyone else encountering the same problem. Please help! Have you met just the same problem - You never set a password on your iTunes backup but it is asking for one? While this particular problem may not be common, there are still some troubleshooting measures that you can try to solve it. This article will provide you with some of the most effective solutions. While it may not be the most ideal solution to this problem, it is just likely that you have forgotten the password that is required. In this case, you can simply try to restore the device from a backup, entering different passwords until you find the right one. Try the following. If you have a hard-disk encryption password, try it. If iTunes will still not cooperate, you can restore your device via iCloud. 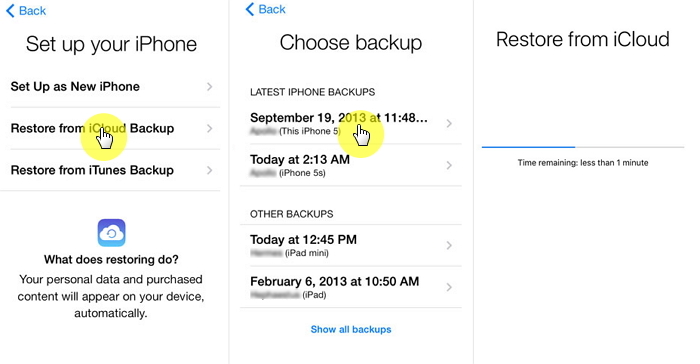 If you have an iCloud backup, here's how to do it. Step 1: Turn on the device and you should see the Hello screen. If you had already set up the device, you may need to erase all its contents to get to the setup screen. Step 2: Follow the prompts until you get to the "Apps & Data" screen. Here, choose "Restore from iCloud Backup." Step 3: Sign in with your Apple ID and choose the most relevant backup. Keep the device connected to a Wi-Fi network while it restores. 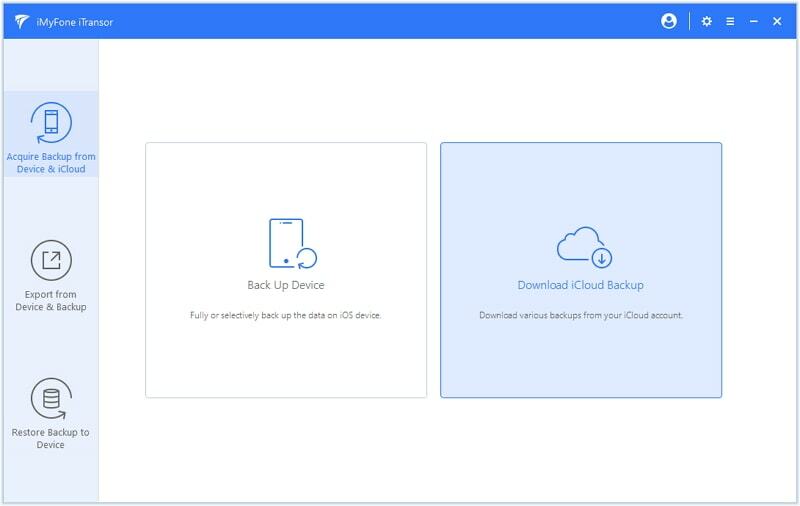 If you are afraid that the official way to restore from iCloud backup may take a risk of data loss, you can try iMyFone iTransor. 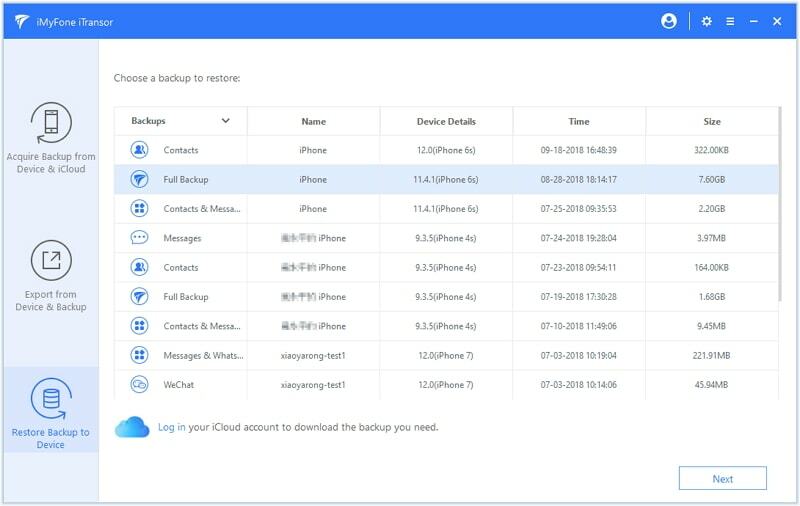 This backup and restore tool is highly recommended as it supports to restore the full backup or restore the partial backup to your iPhone, iPad and iPod touch. 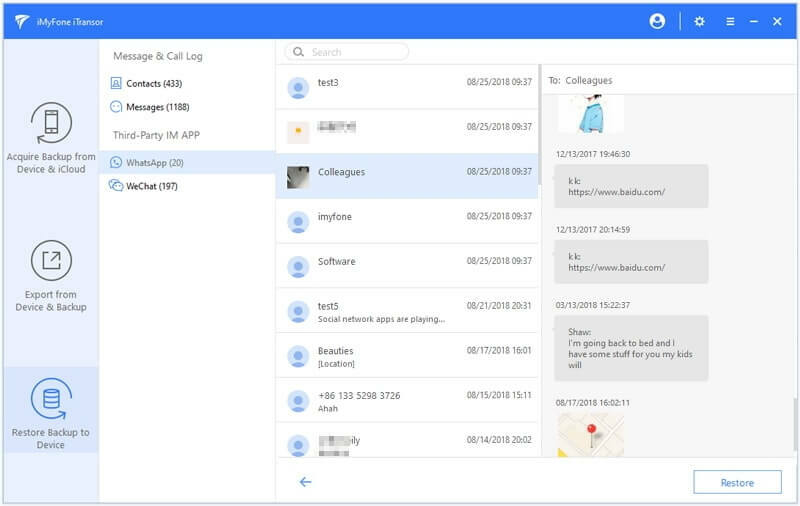 With this tool, you can backup or restore only Contacts, Messages, WhatsApp data and WeChat to your iPhone X without overwriting the other data. You can make a full backup or make a partial backup on your iOS devices. You can selectively restore data from iCloud or iTunes backup, and merge the data with the corresponding app data on your device. Extract 18 types of data from iPhone or from iTunes/iCloud backup to your Win or Mac. Step 1. From the first tab, choose "Download iCloud Backup" option. 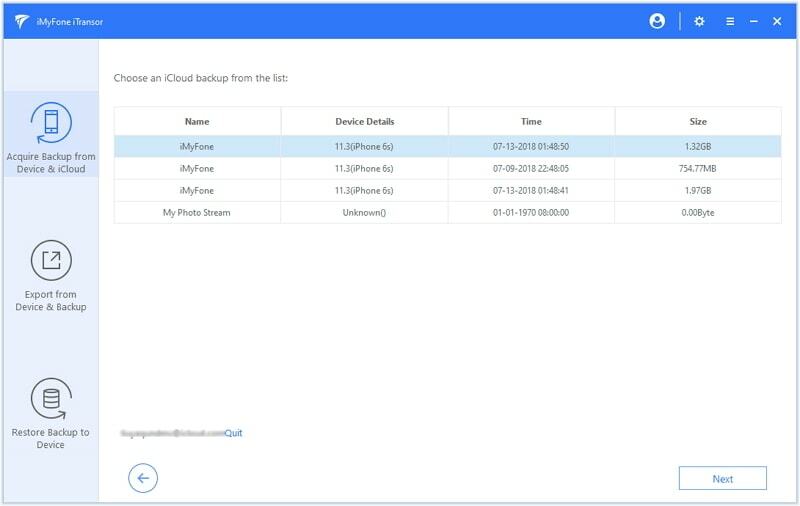 Log into your iCloud account and choose a backup that you want to restore data from. Then click 'Next'. Wait for a while until the backup has been downloaded. Step 2. Click the tab 'Restore Backup to Device'. Choose the iCloud backup that you have just downloaded and click 'Next'. Step 3. 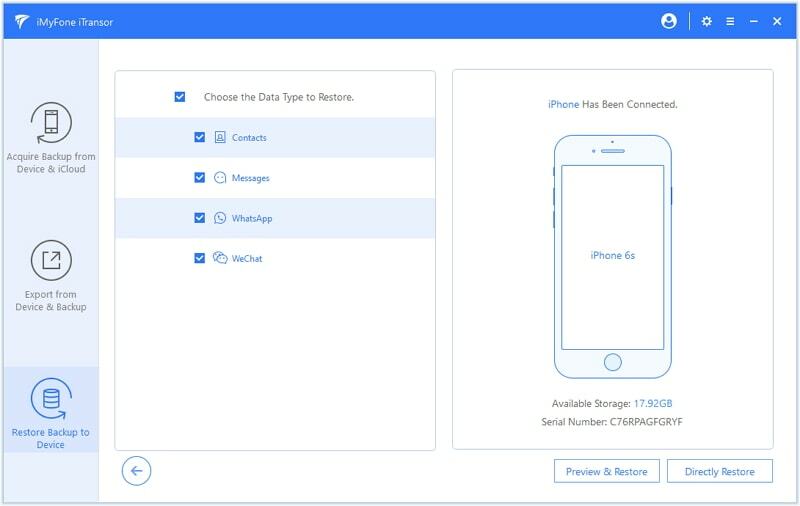 Now you can choose the data types that you want to restore and connect your iPhone to your computer. 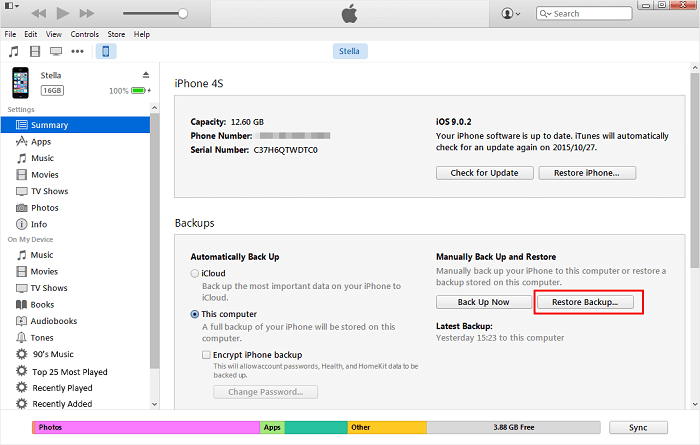 If you want to preview the data before restoring, you can click "Preview & Restore" button. Step 4. After you click "Restore", you will be asked to choose from Merge or Replace options. 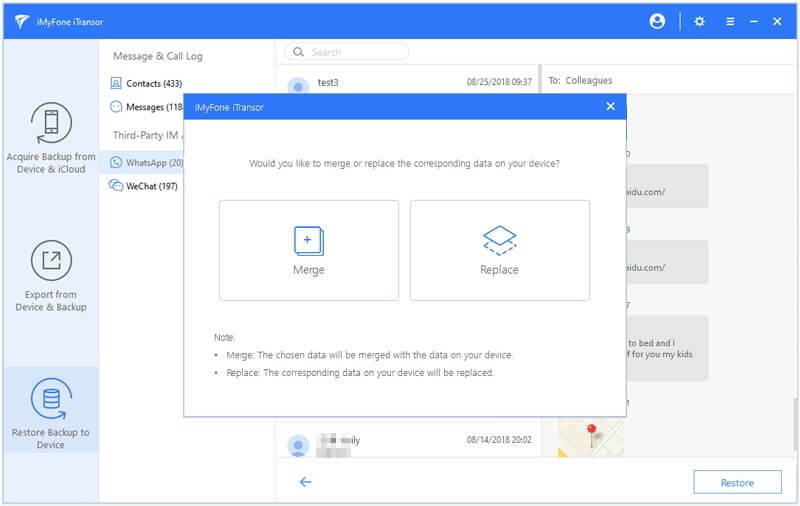 Click 'Merge' if you don't want to lose the current data on your device. If all else fails, you may want to restore the device to its factory settings. This may have the effect of erasing any bugs that may be causing the issue. Here's how to do it. 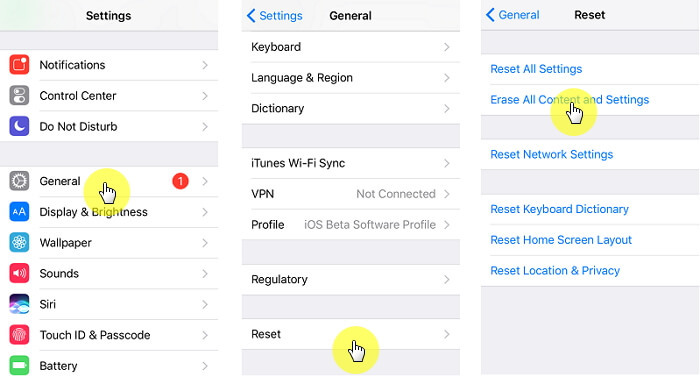 Step 1: You may need to backup your device using iTunes before you erase all data on your iPhone. Step 2: Launch the Settings app on your device. Tap on General > Reset and then select "Erase all Contents and Settings." If required, enter your passcode to complete the process. Step 3: You should see a warning on the device's screen seeking confirmation that this is what you want to do. Tap "Erase" to confirm. Step 4: Now connect your iPhone to the computer and launch the iTunes. try restoring the device from a latest iTunes backup to see if you're still having the same problem.